Hill Running or Interval Training can condition both the aerobic and the anaerobic system which results in dramatic fitness improvements. Additionally, it's estimated the much of the physical declines associated with aging aren't inevitable but is due to a detraining or deconditioning effect that comes from a decrease in exercise levels, frequency or intensity. Research has found that seniors make quick improvements when they start to exercise. Vitamin C for collagen formation. Omega-3 oils (from nuts, seeds, oily fish and wheat germ) for anti-inflammatory effects. Sulphur-containing amino acids (from some vegetables, meat, poultry, fish and dairy products) for joint cartilage health. Bioflavonoids (from all fruit and vegetables, and buckwheat) for anti-inflammatory effects and improved local circulation. Antioxidants (selenium and vitamin E) for protection against the damaging free radicals that proliferate in the body with age. Some supplements may also be helpful but check with your doctor before trying any. Aging results in decreases in muscle power faster than it causes decreases in endurance in both men and women. While endurance performance in men peaks in their 20s and declines by about 4 percent by age 55, in women endurance often peaks in their 30s. In both men and women, strength and power show a much faster and earlier decline. 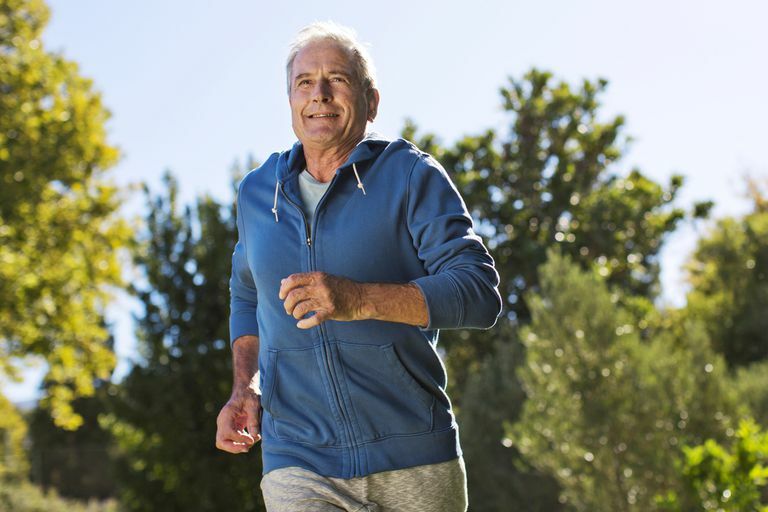 There is growing evidence that suggests that seniors who exercise not only reduce the physical declines of age but also protect their brains (particularly memory) from age-related decline. Physical fitness is linked with a reduced rate of memory decline in middle age. There is growing evidence that many of the physical and mental declines common with aging can be reduced with appropriate fitness and nutrition programs, and it's not too late to start improving fitness, no matter what your age.